The Luther Burbank Center for the Arts in Santa Rosa is hosting several holiday-themed concerts between now and the end of the year. From classic soul to symphony pops, the lineup appeals to all tastes and traditions. The season kicks off on Sunday, Nov. 27, with the return of the San Francisco Gay Men's Chorus, who mark their third year in the North Bay with "Home for the Holidays," a fun concert of classic Christmas favorites that benefits Sonoma County's Face to Face AIDS Network, working to end HIV in Sonoma County and support those living with HIV/AIDS. 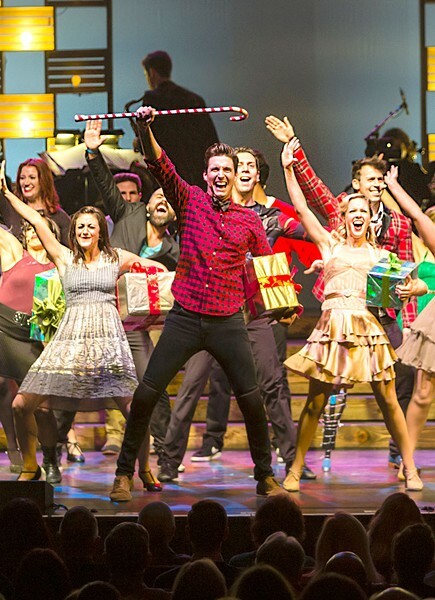 Home for Christmas, and mesmerize audiences with ethereal voices and enchanting arrangements. Locally grown sensation Transcendence Theatre Company is the next star attraction at the LBC, presenting special "Joy to the World" concert performances Dec. 2–4. The company welcomes stars of Broadway to the stage for a show perfect for all ages. A perennial favorite in the North Bay, jazz-pop collective Pink Martini bring their own blend of cheerful song to the region on Tuesday, Dec. 6. The big-band spectacular keeps things multi-denominational and multi-lingual, drawing from a world of celebratory music. In Latin America, a Posada is a Christmas-time retelling of Joseph and Mary's search for lodging before the birth of Christ. For the 1oth year in a row, Ballet Folklórico de Sacramento presents this traditional Christmas story in its Posada Navideña performance on Friday, Dec. 9. The most kid-friendly concert of the season happens on Sunday, Dec. 11, when pianist Jim Martinez joins the Santa Rosa Symphony for a special Charlie Brown Christmas Concert, performing classic themes from the 1965 Peanuts animated special featuring Snoopy and the gang learning the true meaning of Christmas. Celebrity stars also align this season at LBC, and a slew of top-selling artists arrive in the North Bay just in time for the holidays. Donnie and Marie Osmond mix holiday songs and fan favorites on Friday, Dec. 16. The soulfully angelic-voiced Aaron Neville spends a night singing Christmas themes on Saturday, Dec. 17. And finally, the Brian Setzer Orchestra returns for its 13th annual Christmas Rocks! Tour on Thursday, Dec. 29, capping off the season with spirited, swinging, big-band rock 'n' roll. The Luther Burbank Center for the Arts is located at 50 Mark West Springs Road, Santa Rosa. For tickets, call the box office at 707.546.3600.